Anne: Beautiful colors, Juzno. You are a great artist. The pomegranate is very nicely done, too. 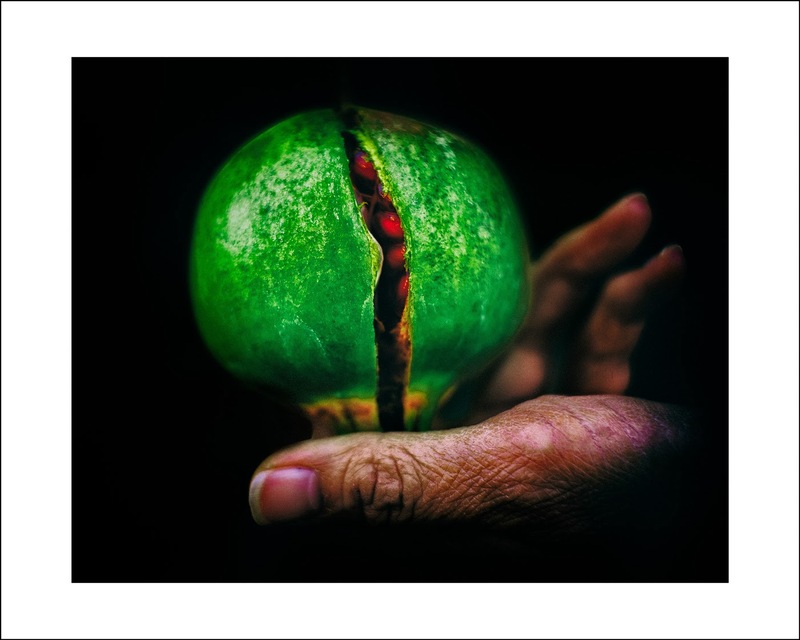 But I've never seen a green pomegranate. Did you alter the color? Rachael: Someone asked me the same thing. I just said, "Its art. Juzno does some great work when printing his photos." Juzno: The pomegranate is from our tree. It is really green though not that vivid. More like yellowish green. But I wanted it to turn to emerald green. My wife and I were waiting for the fruits to turn red because it would mean they are ripe but apparently the fruits started cracking before they ever turn red - maybe never. Rachael: I am still waiting for my winter melons to turn whiter, but they are as green as ever. Anne: I thought winter melon doesn't turn white? Rachael: So that is why they are still green after three months. I should pick them. Anne: I don't know, I only know that the skin of the winter melon in the Chinese market is always green. Juzno: While growing up, the folks would knock on the melon to check if it was ripe. Not sure what kind of sound they were listening for. If the melon asked, "who's there?" then you should immediately drop it on the floor.